Normally, it'd feel disingenuous to directly compare games during a review; this is a unique case where I think it may be impossible not to. Inside is developer Playdead's follow-up to the critically acclaimed Limbo, and it's a better version of that in almost every conceivable way. Like Limbo, Inside is another grim, moody, and atmospheric puzzle-platformer. And, like Limbo, it stars a nondescript child navigating a ruthless and mysterious world. These are now earmarks of the studio's works, as it again expertly juxtaposes haunting ambiance against effectively gruesome violence. Time is both Inside's greatest friend and foe. This feels every bit like a game that's the beneficiary of an additional six years' worth of know-how on the part of the developers. It's a more fleshed-out experience that never seems stretched-out just for the sake of it. 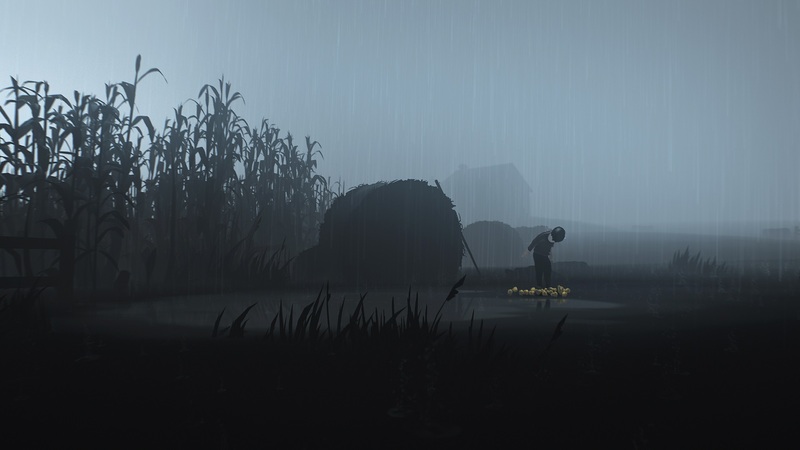 However, some of its affecting heft is lost to the number of less-competent copycat titles that popped up after Limbo's success; Inside's elder spiritual sibling has robbed it of some degree of import and emotional novelty. Although we've seen plenty like it, I'm not convinced we've seen much better than it. 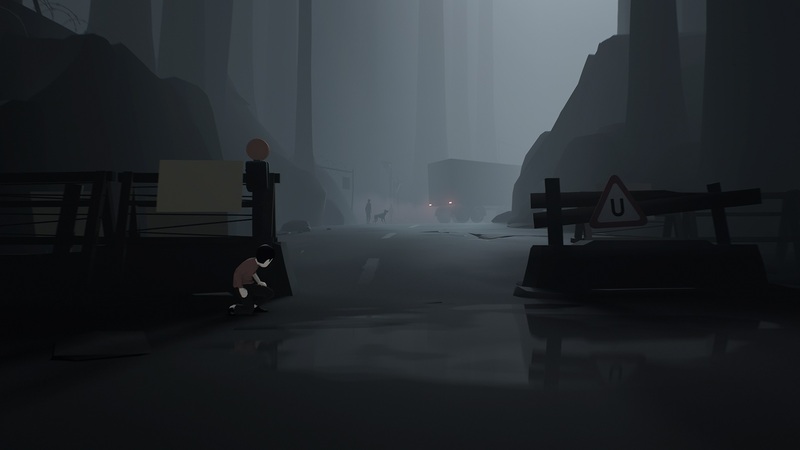 There's a sense of urgency that's interwoven into all of Inside's left-to-rightward journey. It doesn't feel as if we're moving that boy across the screen in the name of advancement. Instead, it feels as if we want to get to the right because, chances are, there's something uniquely terrible on the current screen. Whatever is off-camera holds some degree of hope because we haven't seen it yet. We quickly learn that Inside's Inside is filled with untold horrors; maybe Outside, if it exists, is better. That urgency is masterfully integrated into almost all of Inside's puzzles. Save for one notable six-part section, none of the puzzles seem as if they're designed to artificially inhibit progress. Instead, they're natural -- obstacles that make sense in the context of the game. Sometimes they're as simple as opening gates, other times they revolve around cleverly circumventing environmental hazards. Whatever it may be, very rarely does Inside feel as if it's doing game-like things because that's what it's expected to do. This hand-in-hand relationship between gameplay and the setting is especially extraordinary because Inside's world is absolutely fascinating and stunning at every step. Even though the child is so vulnerable, there's a persistent and perverse curiosity to learn more about this facility he wandered into. There's a constant and conflicting pull between exploration and escape, despite the sinking feeling that the former will lead to nothing good. The main reason that it's tough to maintain any optimism (or, really, have any in the first place) is because Inside makes its bleak tone known immediately. The game begins with a forest chase sequence wherein the boy tries to break away from patrol units that are quick to strangle him and ferocious dogs that have no problem ripping him apart. It gets more heinous from there. 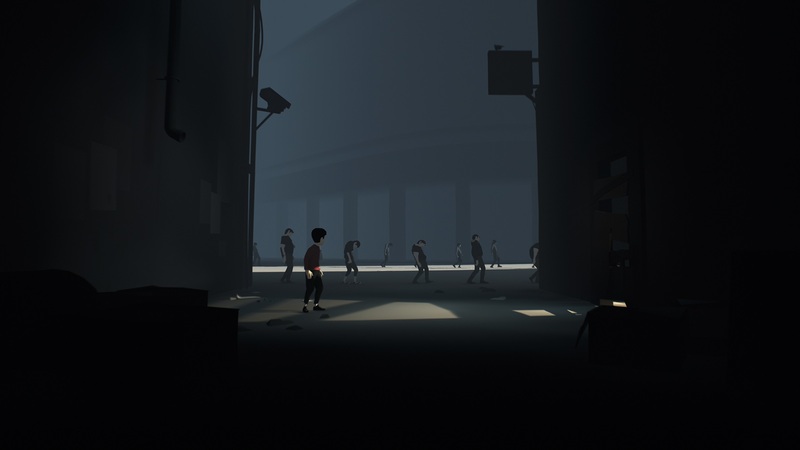 Playdead proves again that it has no problem addressing heavy themes. Some things that it touches on are: authoritarian and tyrannical control, loss of free will, enslavement, morality of experimentation, and, of course, death. 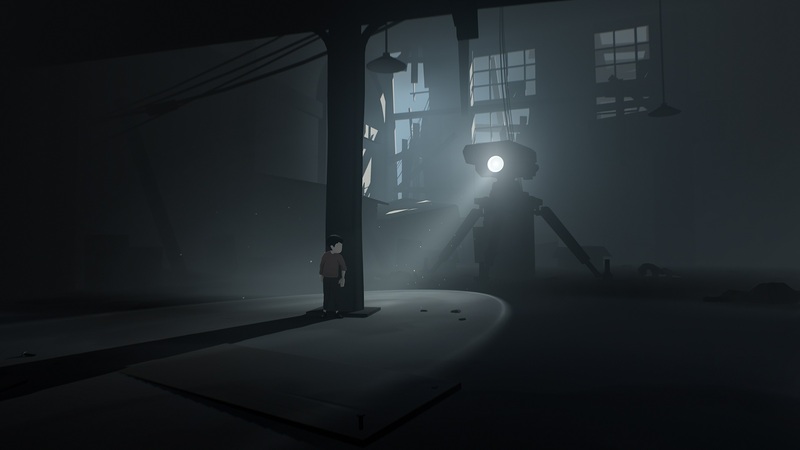 If Inside has a single marked fault, it's that these themes don't always necessarily seem to match the continuing and overarching narrative. There are plenty of questions to be asked, maybe moreso after actually finishing the game. It's easier to accept if you view Inside as nothing more than a child breaking into a research facility that gets increasingly nefarious the deeper it goes. As much as the boy is Inside's protagonist, the entire game is the antagonist. Everything is so callously oppressive that it lends great weight to even the most minuscule of his actions. He's delightfully expressive in all that he does, despite being faceless and voiceless. Flailing arms, stumbling steps, strained yanking -- it's all so emotive in a setting that has been meticulously stripped of emotion. An early sequence has the child joining a line of thoughtless humans slowly marching forward. It's terrifying how quickly you also fall in line. Nine steps forward, stop, wait. Nine steps forward, stop, wait. Just like that, your autonomy is gone. Your expressive actions are reduced to exactly what everyone else is doing. For a few minutes, the boy operates as part of this machine and it's incredibly effective and unsettling. Almost the rest of the game leaves him powerless and unsafe but free. It's undoubtedly a better position. However, it's not the last time that Inside is unnerving. Playdead consistently finds new methods to accomplish this, all of them potent in their own ways. That's a hallmark of compelling game design. Inside is nothing if not, at all times, compelling.